If you’re looking to get into PC gaming and need a brand new rig (minus display) and are on a budget of around $750, then this guide is for you. While the budget of $750 is fairly tight and won’t let us play around with the likes of SSD’s or CrossFire, it’s more than enough to fit in great components such as AMD’s R9 280X or Nvidia’s GTX 770 GPU’s which means a lot of pixel pushing might. This PC gaming rig will easily allow you to play most titles at their highest settings at 1080P at 60FPS+ – just how nature (or the developers at least) intended them to be played. While it’s tempting to skimp on the PSU and to instead push the cash onto a better graphics card or CPU – buyer beware. Low end power supplies do have a rather nasty habit of going pop, and taking other computer parts with them. Another scenario is they don’t provide the amps you’d expect given their rated wattage, thus leading to frustrating troubleshooting as you wonder why your system randomly crashes during heavy usage. While the focus on this rig is gaming it’ll be enough performance for image or video editing, and potentially you could drop down to a slightly lower performance GPU or otherwise squeeze together the cash to get extra RAM in there (video editing in particular is extremely RAM hungry). I’ve provided the relevant links to the hardware so you can just click and go, but there are a few parts not available on UK Amazon. With all of that said – let’s get on with this! Intel’s I3-4130 is a Haswell based CPU, and despite being on the lower end of Intel’s Haswell product line packs plenty of power, and since it’s Socket 1150 you’ll easily be able to pop in a faster CPU down the line. It’s a dual core CPU, featuring Intel’s Hyper-Threading technology (so handles 4 threads) and is quite a bit faster clock for clock than previous I3’s. Running at 3.4ghz at default, the standard retail heatsink and fan will do the job here and mean we can save money and not need to invest in a after market cooling solution. If you’ve got a bit more cash in your pocket and need extra CPU power, then Intel Core i5-4670K is likely your best bet. It lacks the Hyper-Threading of the 4770K, but in most applications is just as fast. The ‘K’ version is also multiplier unlocked meaning you’ll be free to nudge the multi higher and get faster speeds (just be warned, with the standard Intel cooler the CPU can get rather toasty). 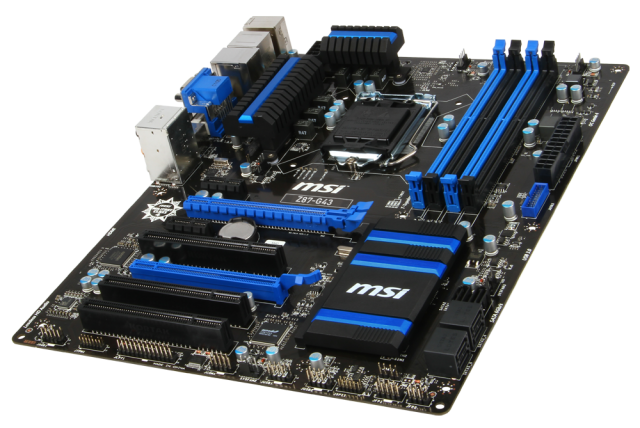 This motherboard gets continued praise from reviewers and gamer’s alike. 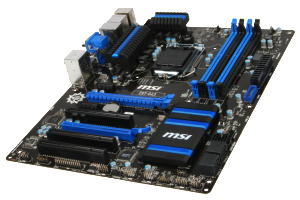 It’s a little more expensive than alternatives such as ASUS H81M-A ATX (which is just over $60) but the MSI board is full sized, allowing you to have access to four RAM slots. Features such as pretty damn overclocking overclocking support – along with a solid build help to sell the MSI Z87-Gr3. You’ll also get the other ‘usual’ suspects you’d expect on a motherboard of such quality such as SATA 3, USB 3, PCIE 3.0, memory support of up to DDR3-3000 and realtek ethernet / audio. Let’s face it, 8GB is about the minimum you’ll want to be running if you’re serious about gaming. Fortunately our motherboard choice easily allows us to stick in another 8GB of DDR3 if required. The ADATA XPG is great memory for the price, and about the cheapest deal you’ll get for ‘good and reliable’ RAM. If you’re a little more flush with cash there’s few who’d have a bad word to say about Corsair Vengeance Blue 8 GB but it’s around 20 dollars more expensive, and since we’re on a fine line price wise with our build, we didn’t feel it was worth the extra pennies. The choice on graphics card is perhaps the hardest in the rig, because both AMD’s Radeon R9 280x and Nvidia’s GeForce 770 both have their strong and weak points. Overall the Geforce is a little faster in most games, but it’s also a little more expensive. There are also other considerations – which drivers do you prefer, want about the unique technology? Nvidia with G-Sync, Physx and so on, OR AMD’s True Audio, Mantle and so on. 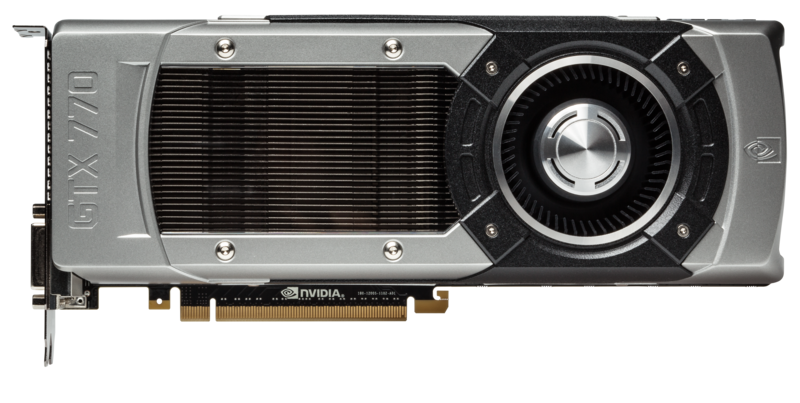 The other point is that Nvidia’s card is about 20 dollars more expensive – which is certainly something to consider. For more of a breakdown check out our recent GPU article here. There’s no way that we’re going to be able to fit an SSD in our budget, but at least prices of traditional HDD’s have fallen fast. This WD Blue drive has 1TB of space, so of course you’re best to create a couple of partitions for OS, Games and Data. It might be tempting to keep your current hard drive, and if it’s fairly recent then it’s certainly a good decision – but if your hard drive is say 3 years old, there’s a good chance you’ll be missing out on quite a bit of performance. Then again, you could always use your old drive and then buy an SSD in the future – the choice is of course yours. Nothing too exciting to say about this, it’s a power supply – and it’ll provide energies to your PC. It’s a good, solid and reliable PSU. It’s certainly not the flashest and there are lots of alternatives out there – but I’ve used Corsair, OCZ or Antec PSU’s for years and not had any trouble. Though I usually don’t provide a recommendation for a PC case because everyone has different requirements I’ll make the exception – but read this first. If you’re not overclocking or worried about noise then anything can do (hell, reuse your old case or use a cardboard box if you want), but if they do matter than you’ve got to be a bit more careful. If you’d really like a suggestion a Rosewill LINE-M-A is quite nice, and will set you back around 50 dollars. Optical Drive $10 – $20 – Anything! Reuse an optical drive if you can – it’s only really for installing windows (assuming you’re not doing it via USB anyway). And there you have it – the prices as I’m writing this come to just around 770 dollars with Nvidia’s GPU, while AMD’s pushes it down to a few cents under 750. This is assuming you need to buy everything on the list (and can’t even reuse the optical drive). This little buyers guide should push you to PC gaming nirvana – and lots of room to upgrade and switch bits and pieces out out as required. Tagged with $750 budget, 750, AMD, analysis, best pc parts, budget gaming rig, cheap pc gaming, cheap pc parts, geforce, gpu, gude, hardware, help, I3, motherboard, pc buyers guide, Tech Tribunal.